After a long and awesome weekend (had today off since it’s Whit Monday) I’m back home again after being in Nijmegen visiting my boyfriend’s family. I know the blog hasn’t really been updated this weekend since I took a break from my laptop. I highly recommend doing that for those who daily need to spend time in front of their computer. Turn off your phone, put away your laptop and do something fun with people you enjoy spending time with! However, today my boyfriend and I ate a super yummie dinner. 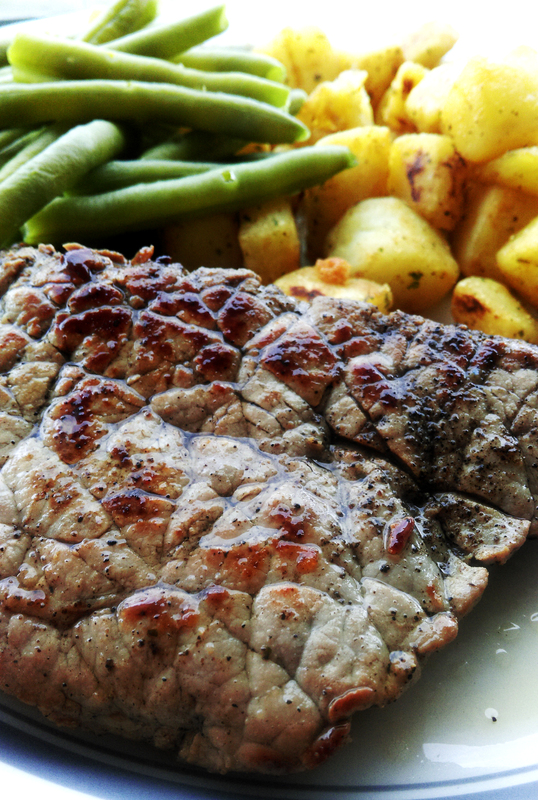 We made beef with green beans and pan fried potatoes. So good! Next > What makes you happy?